In need of a Holy Table cover for your church that’s suitable for use during the Lent period? 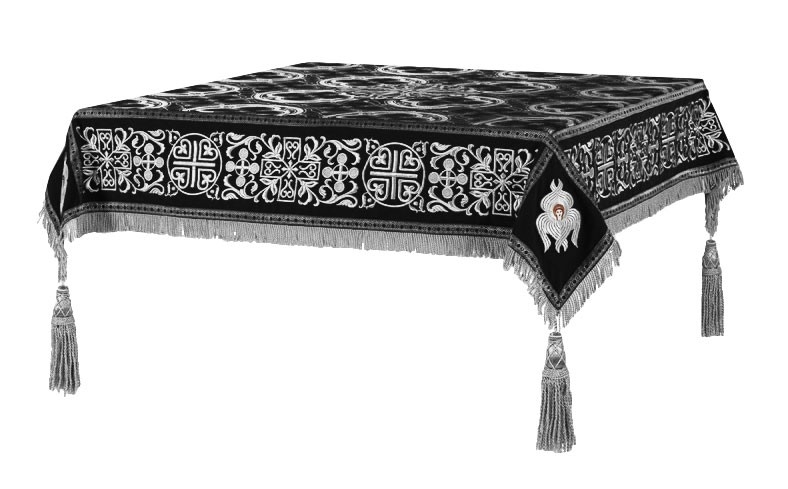 Istok Church Supplies carries a selection of black-silver Holy Table covers with lasting elegance that would set the right tone for church services held during Lent. It’s very important to create the right spiritual ambience for important services conducted at the Holy Altar of your Orthodox Christian church. 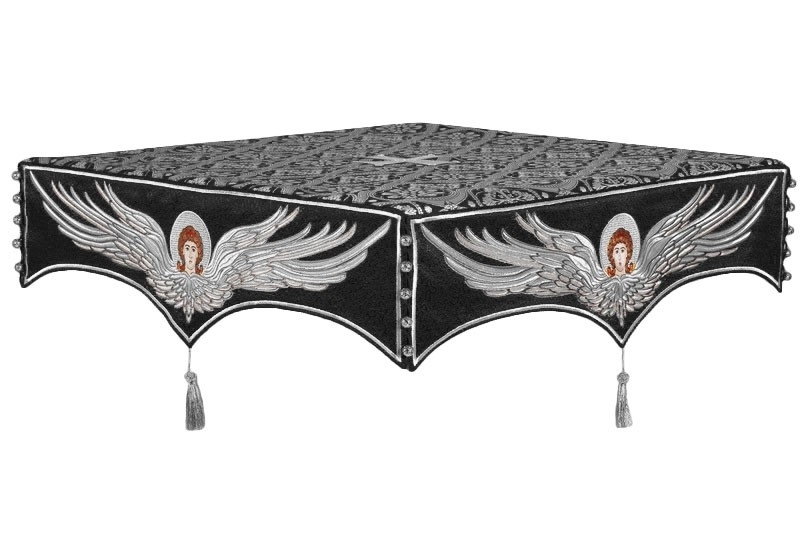 Available in various liturgical fabrics such as rayon brocade, metallic brocade, silk and embroidered fabrics, our black-silver Holy Table covers set the right tone with their understated elegance. Moreover, they are decorated with a cross at the center and trimmings around the edges that elevate their beauty. 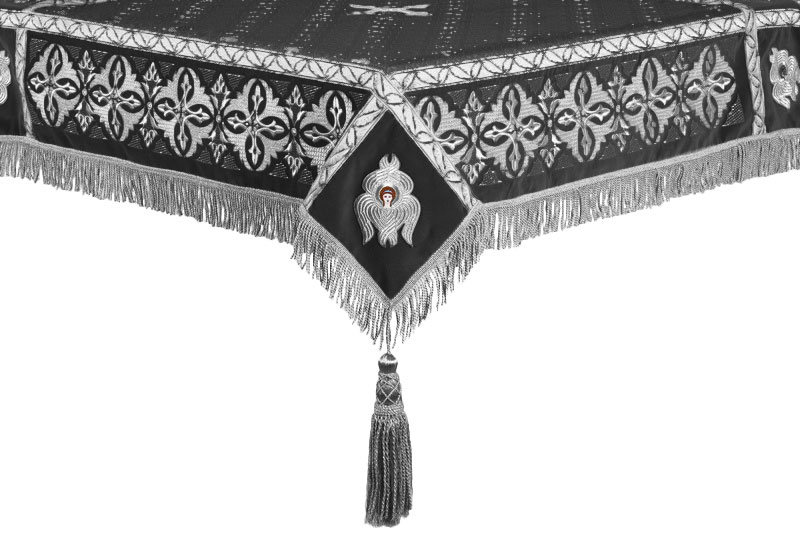 While black-silver Holy Table covers made from rayon and metallic brocade are good economical choices that provide long-lasting value, the embroidered ones are truly spectacular and ideal for those who are looking for a high-end solution. The embroidery is done by expert embroiderers using high-quality threads. We have taken care to include traditional Christian imagery on them to make them more appealing to Orthodox Christian communities. 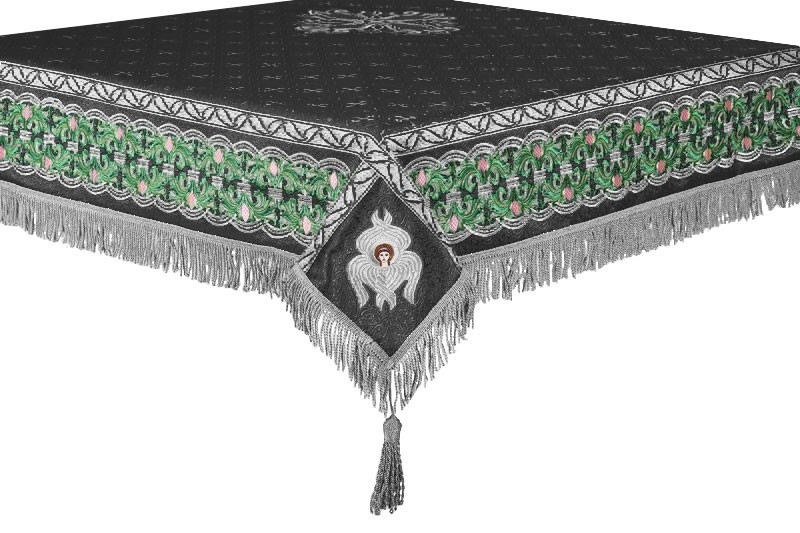 Purchasing a hand-embroidered Holy Table cover is a great way to keep alive Orthodox Christian art traditions. To know our most popular black-silver Holy Table covers, just take a look at the Bestsellers section on the left side of the result pages. 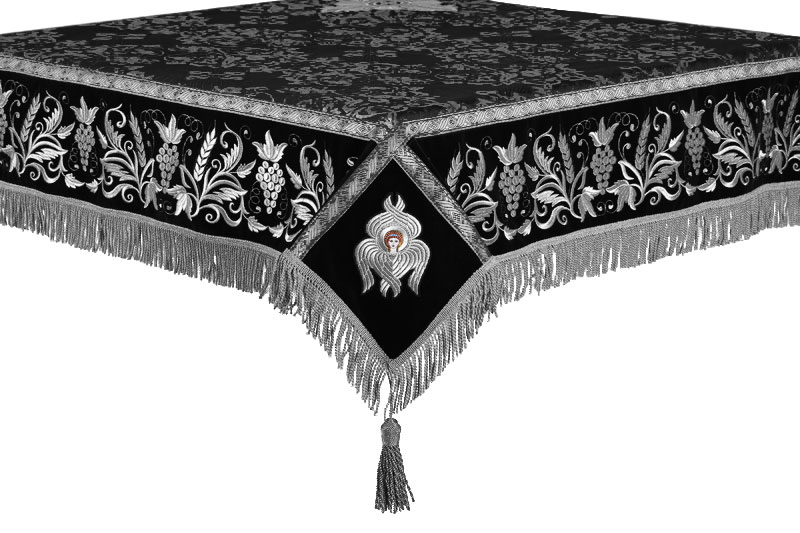 We try to make black-silver Holy Table covers affordable to all Orthodox Christian communities. 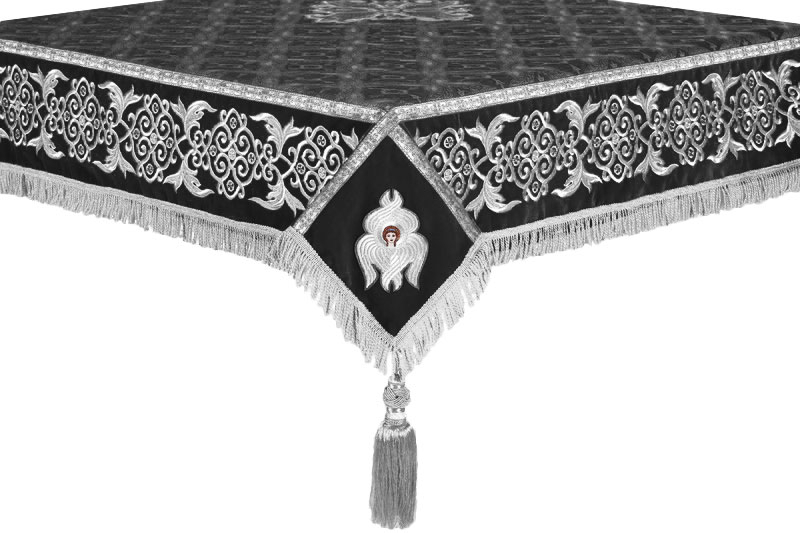 The prices mentioned for each product are for a Holy Table cover measuring 55”x55”. Apart from discounts, customers can also take advantage of our wholesale membership and collect bonus points for future cost savings. With our extensive catalog, user-friendly navigation, quick ordering process and secure payment options, we endeavor to provide a superior customer service. We look forward to serving you for all your Orthodox Christian goods requirements!